The instruments and voice recordings are not always in best possible quality. 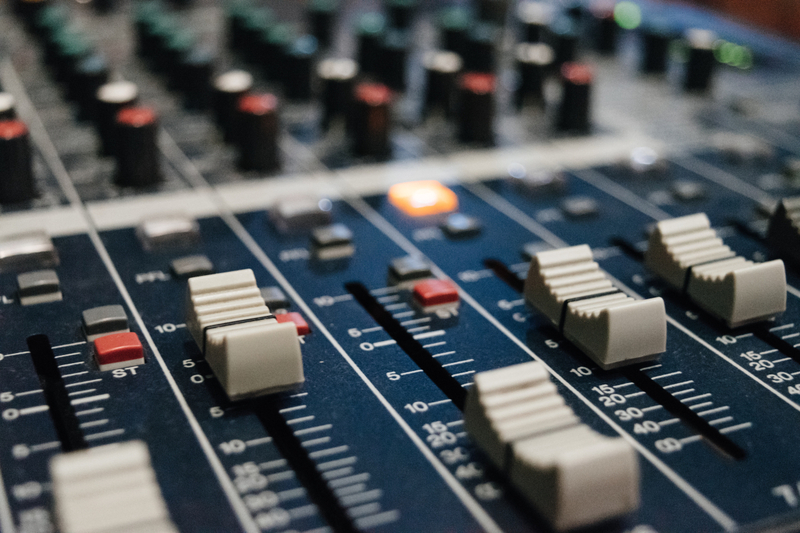 Today I will explain to you how to work with sound frequencies in your mixes. And how to remove the most common sound pollution. Each instrument has its own sound pattern which can be transcribed into the frequency range. For example, Bass guitar covers the lower frequency range than soprano vocal which covers the higher parts. With help of equalizer you can either make the recording sound darker or brighter by reducing or applying more trebles. We can also brighten up the recording by cutting of the lowest frequencies. This technique is useful for brightening up recordings of more instruments at one track. The proportion between the lower frequencies and the higher ones will move in favour of higher sounds. Sometimes cutting off the highest frequencies helps when the sound is too sharp and unpleasant because of too much intensity in range between 10 and 20 kHz. The high frequency cutting filter is a good tool for such operations. More common practice however is to cut off the lower range of frequencies. They spoil the quality of sound by bringing up unnecessary noise, hums and other sound distortions. We often see recording frequency chart with obviously more intensity over 100Hz and below this threshold some additional activity. It is most likely that between 0 and 100Hz there are noises which can be removed. For that we can have a noise (low-cut) gate set up on the recording track automatically. However in many specific situation it is better to do this manually. Cutting off the unnecessary frequencies has a subtle influence on proper sound of the recorded instrument. Removing too much from upper parts will also make sound appear less dynamic and blurred. Always double check when cutting off low frequencies as well as high parts from recording. The sound of most instruments contain either mid, low and mid, mid and high, or whole (eg. synthesizers sound) frequency range. Only few instruments play only low or only high frequencies. That is why the mid frequencies are mostly “very crowded” and especially in modern music production. Mid tones have their volume lowered a bit to expose the bass and trebles and add more dynamics to the mix. A good sound engineer will look at audio chart and see the sounds. Years of experience stand behind him. If you are less experience it is always a good idea to download some ready music production tools. See how do they sound like and learn. The only thing that keeps you from being great sound designer is more experience! So keep on working with your sounds, listen to your old mixes and see your progress! Nice, quick and useful post with all the information i need. How to emphasize and make louder the sound of an instrument or voice without causing any distortion?